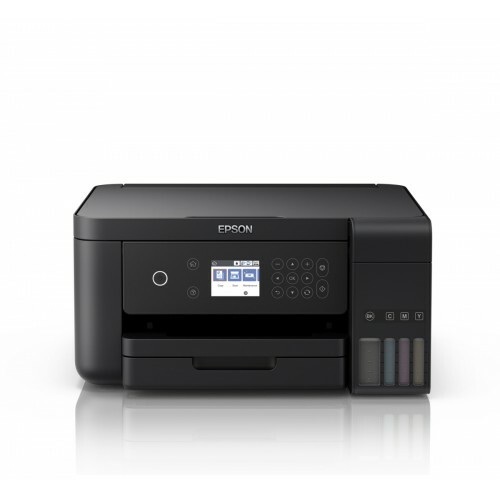 Epson L6160 Wi-Fi Duplex Multifunction Ink Tank Printer is built 4800 x 1200dpi printing resolution.You can use this printer multi purpose , like - Print, Copy, Scan.this printer is capable for 50,000 pages monthly duty cycle. 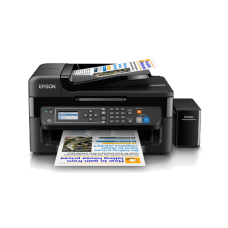 By using this printer you can enjoy high experiance borderless printing for up to A4 size with Epson L6160 ink tank printer. 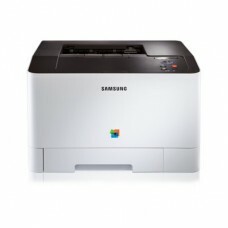 The PrecisionCore Printhead Printing Technology is used in this printer with Windows 7, 8, 8.1, 10, Vista, XP, Server 2003, 2008, 2012, 2016, Mac OS X 10.6.8 or later operating compatibility. 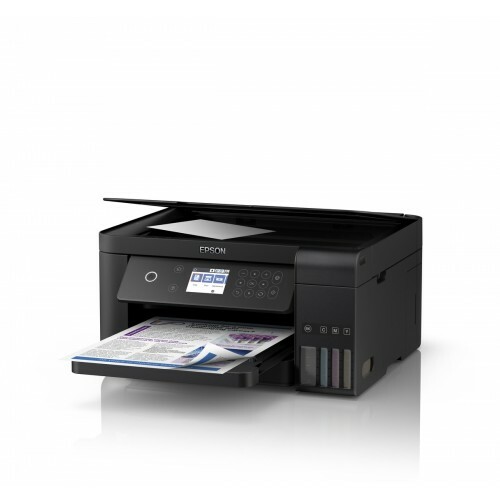 In this duplex printer, printing speed for black color is 33ppm (Draft), 15ipm (ISO), 6.5ipm and for coloring printing is 20ppm (Draft), 8.0ipm (ISO), 4.5ipm (Duplex). 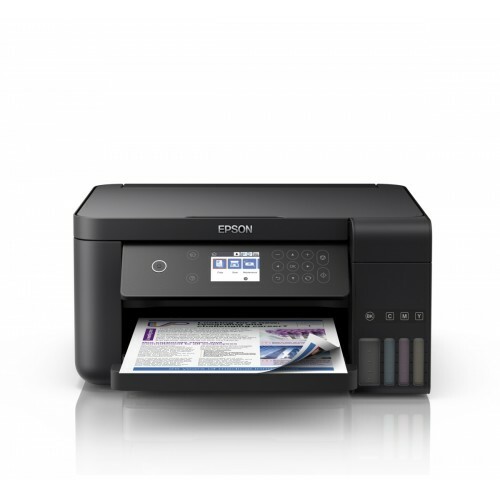 This multifunctional printer has 1200 x 2400dpi scan resolution with 2.4" Colour LCD Display.Epson multifunctinal printer is built in USB, LAN, WiFi interface and also you can use this printer in mobile and wed printing like - in mobile printing - Apple AirPrint, Google Cloud Print, Mopria Print Service are support and in wed printing Epson iPrint, Epson Email Print, Remote Print Driver, Scan to Cloud are supported. 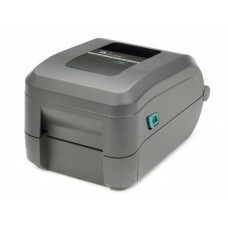 In this printer ESC / P-R printer language is used. 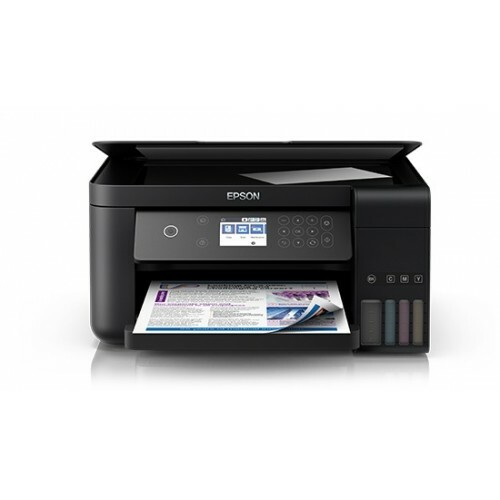 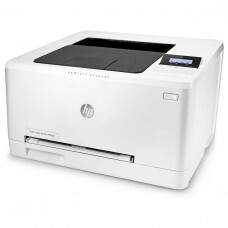 This multifunction printer provides 01 year of warranty.